Annette Hilton (’17) gave a talk this month at the 47th Lunar and Planetary Sciences Conference, along with her summer internship advisor Julianne Gross of the American Museum of Natural History and Rutgers University. You can read the story of their exciting discoveries here. This is a remarkable accomplishment for any undergraduate, let alone a junior. 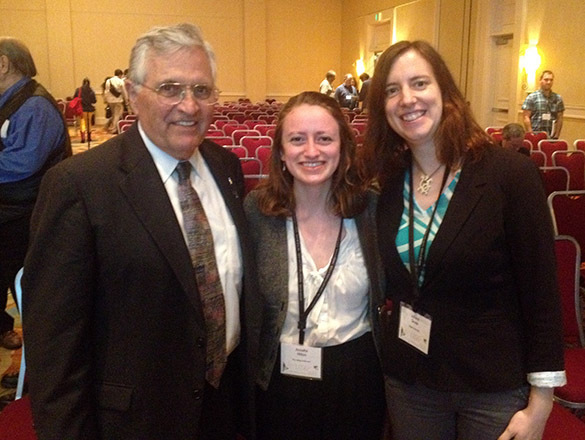 As a bonus, they met the only geologist to go to the Moon: Harrison (Jack) Schmitt. He even stayed for Annette’s presentation. Very cool.